The What: Revolabs is introducing wired gooseneck microphones to its current line of wired microphones. The What Else: Available in six and 12 inches, the goosenecks come in the same colors—black, white, and brushed nickel—as the company's directional and omnidirectional wired microphones. Additionally, the wired microphones now include mute functionality and status LEDs, which can be managed locally or through a connected device via DSP. With Revolabs, it is now possible to have the same user interface in rooms with wireless microphones and wired microphones while keeping the look and functionality of the microphones the same. 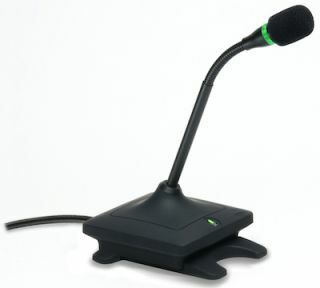 The Bottom Line: Ideal for conference rooms and boardrooms, the microphones allow users to connect instantly to today's wide range of collaboration tools including audio systems and unified communication solutions via any universal microphone input connection.